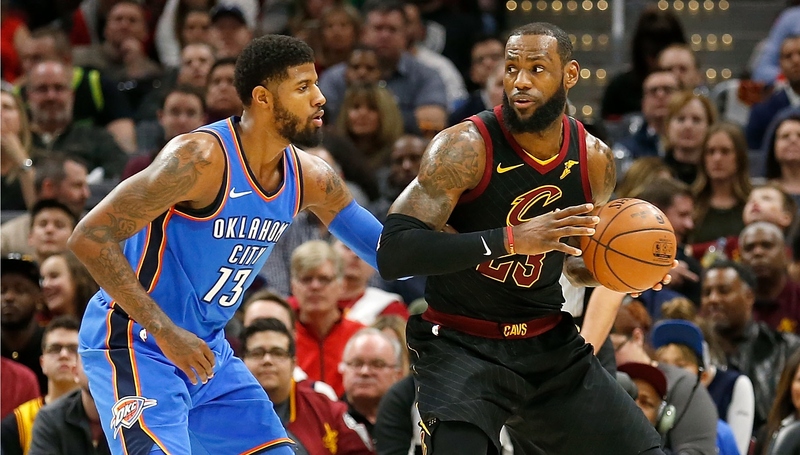 Paul George and LeBron James could be in purple and gold next season. 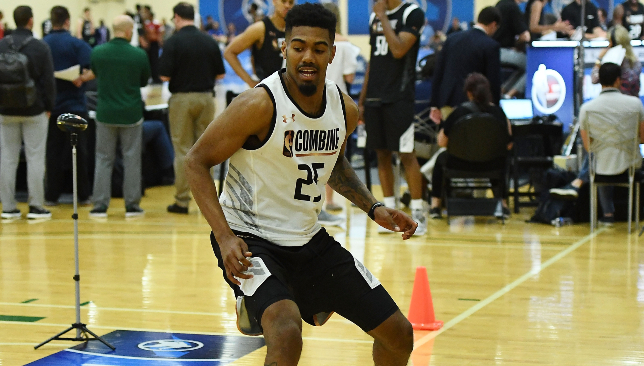 NBA champions the Golden State Warriors selected Cincinnati Bearcats guard Jacob Evans in the 2018 draft. The 21-year-old, who played college basketball for the University of Cincinnati team, will join Steph Curry, Kevin Durant and others as they fight for a third consecutive title next season. Golden State were given the 28th pick in the draft, while NBA finalists the Cleveland Cavaliers had eighth choice, selecting Collin Sexton. 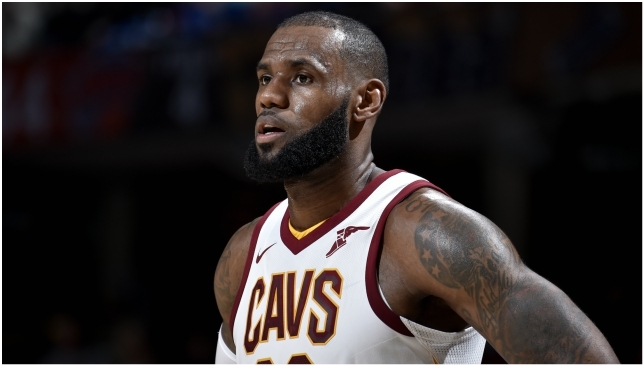 Alabama’s highly rated 19-year-old point guard quickly appealed to LeBron James to re-sign with Cleveland. The Phoenix Suns had the first pick of the night and went local with Deandre Ayton of the Arizona Wildcats. The Suns, who had the worst NBA regular season record at 21-61, were drawn last out at the NBA draft lottery. The second pick went to the Sacramento Kings, who selected Duke Blue Devils’ 19-year-old power forward Marvin Bagley. The Atlanta Hawks went third in the draft and chose Dallas Mavericks’ Slovenian shooting guard Luka Doncic, 19. Dwight Howard lasted a single season in Charlotte. 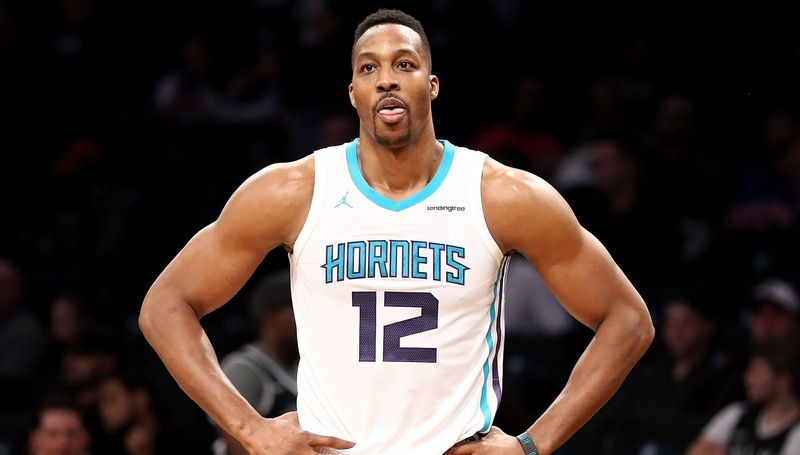 One day after the Brooklyn Nets traded for Dwight Howard, the two sides have agreed to enter buyout talks to make the centre a free agent this summer, according to reports. Howard was dealt from the Charlotte Hornets to the Nets on Wednesday in exchange for Timofey Mozgov, two second-round picks and cash. Because the trade won’t become official until the league’s moratorium ends, a buyout on his $23.8 million expiring contract would make Howard a free agent no earlier than July 6. Though he’s a three-time Defensive Player of the Year and five-time All-NBA First Team selection, Howard’s stature in the league has been on the decline over the past few years and his next team will be his sixth in eight seasons. While the 32-year-old is still a productive player – he averaged 16.6 points, 12.5 rebounds and 1.6 blocks last season with Charlotte – Howard carries question marks regarding his chemistry with team-mates and willingness to play more of a supporting role. According to Howard, he wants to help a team win at his next stop. If Howard’s main priority is winning a ring, the team that immediately jumps out is the Golden State Warriors. 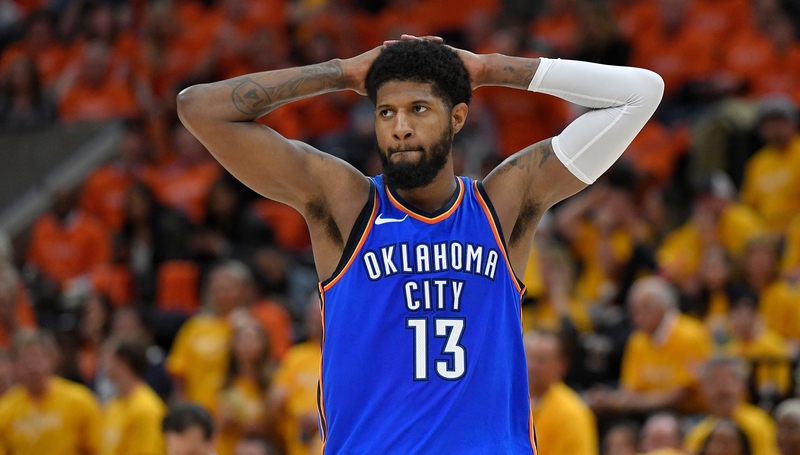 The defending champions won’t be able to offer Howard much money – they’re already juggling their finances with four max contract calibre players – but if he wants to join on the veteran’s minimum to ring chase and rebuild his reputation, the Warriors would be an appealing option. Outside of the value for money, it might not make much sense for Golden State though. Why risk ruining a good thing by bringing in a player who could potentially harm the locker room and derail a dynasty? As unlikely as that outcome is, the Warriors have little incentive to risk it. Another team that could pursue Howard is the Washington Wizards, who are reportedly trying to unload centre Marcin Gortat. Even by ridding themselves of Gortat’s $13.5m contract, the Wizards could only offer Howard minimum money, but he would potentially be a high-impact player on a team that could compete in the Eastern Conference. Speaking of contenders in the Eastern Conference, the Boston Celtics have a need for a big man and, like the Warriors, are attractive for ring chasers. Howard is a fascinating free agent. Does he ring chase? Nets are paying him $20-plus million anyway. And tuck this away: Danny Ainge has liked—and expressed interest in—Howard in the past. Boston are already over the salary cap, but they could potentially use the mid-level exception on Howard, who would benefit from playing next to three All-Stars and in Brad Stevens’ fluid system. The biggest question is what does Howard want? A championship? Another decent contract? A significant role? Whatever it is, it will dictate where he ends up.